West Virginia has 55 designated opportunity zones, including 52 low-income communities, plus 3 non-low-income contiguous tracts. Statewide, a small majority of West Virginia’s census tracts (60 percent) are located in urban areas. 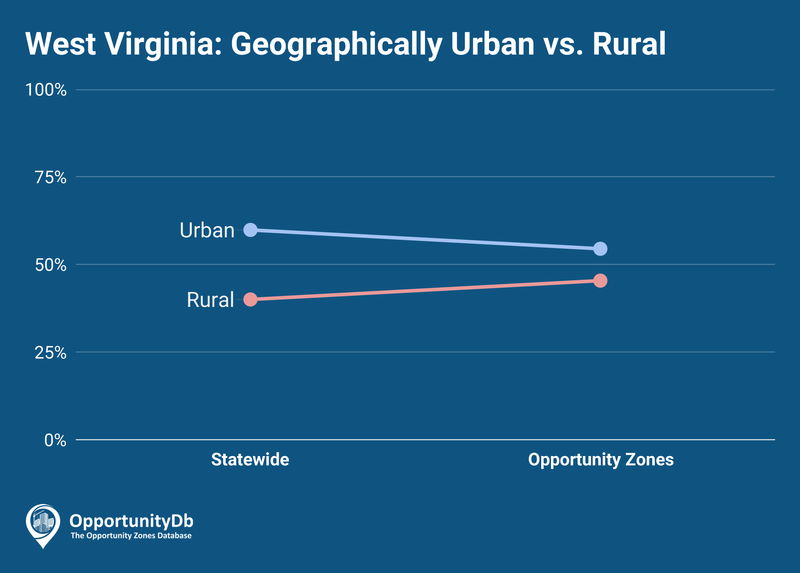 Among the state’s 55 opportunity zones, 55 percent are urban, and 45 percent are rural.